Enter the name here. Max 10 characters, no spaces, no special characters. Also include if you would like darker color wood or lighter color wood. Personalized crosses make wonderful gifts to celebrate religious milestones, such as a child’s christening or baptism, first communion, confirmation, weddings and more. A beautiful custom wood cross can also add a decorative touch to your home and provide a gentle reminder of faith. 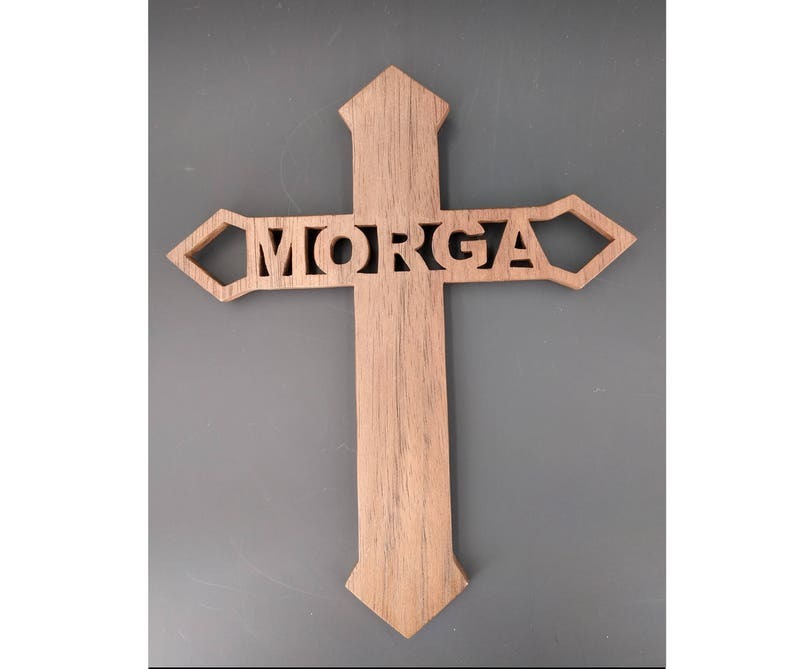 All of our wall crosses are crafted from solid wood and feature exclusive scroll saw designs. 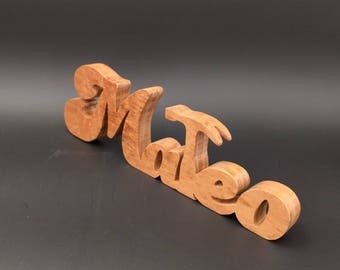 Customize a wood cross with a child's name, or family name or a date to a wall cross to create a heartfelt gift. Make your next religious gift special and memorable by personalizing a beautiful wooden cross with meaning. Crosses with 4-5 letters are 8.25 inches tall by 7 inches wide. Crosses with 6-7 letters are 12 inches tall by 9 inches wide. 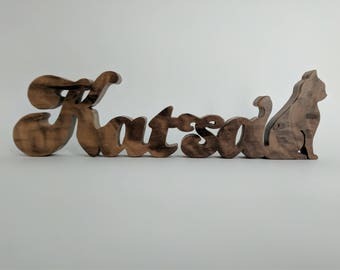 Current cross is available in walnut. After you add to cart write in notes to the artist your the name you would like. This was a Father’s Day gift for my Dad. This was made with such thought and care. He absolutely loved it. Seller was great at communicating, crafting and shipped the product in a very timely manner. A+ Thank you so much!